When our service was part of the Leisure Services Department at Wolverhampton City Council – photographs were taken prior to producing a new booklet all about Parks in Wolverhampton. 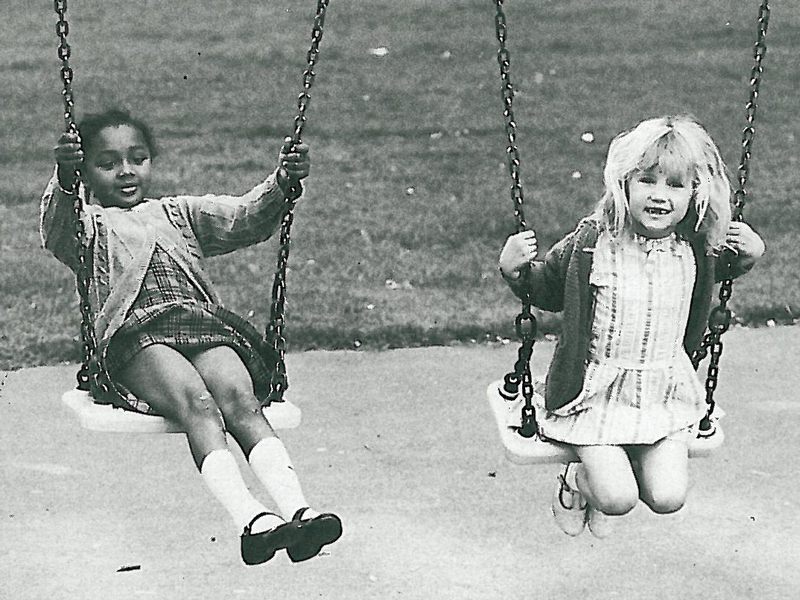 On the front cover of the booklet is a photograph of two happy, smiling, little girls – could one of them be you? Where are they now? Do you know who they are? If it’s you – then please get in touch with us … details at the end of this blogpost. Another quest for our subjects in the photographs is this one of two gentlemen (probably at Bantock Park or East Park, Wolverhampton) having a quick game of Pitch and Putt. 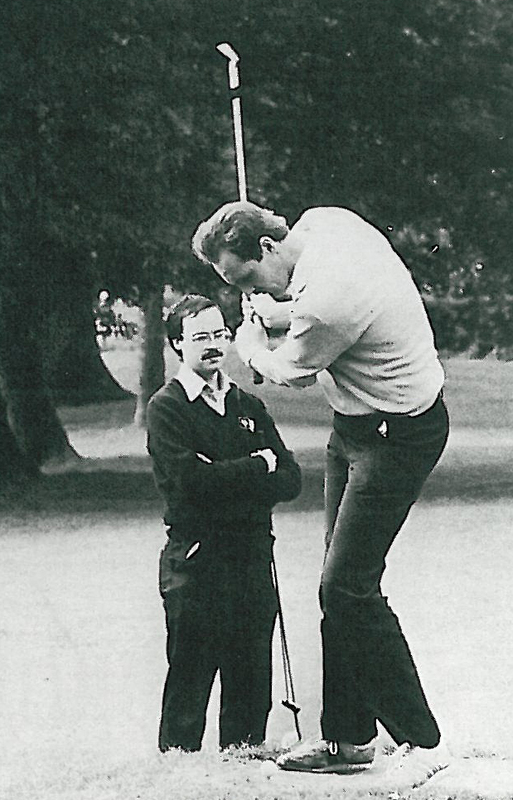 Do you know these budding golfers? Last seen probably Bantock Park, Wolverhampton in the mid to late 1980’s. 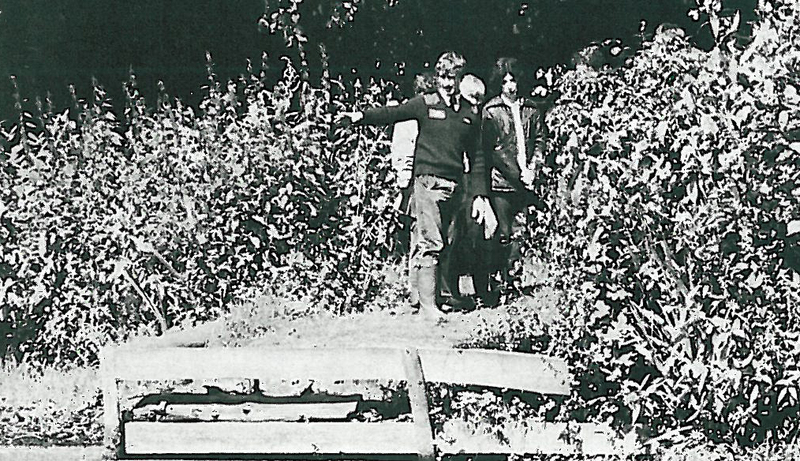 and one that we have been able to identify is one of our own, taking centre stage it’s Pendeford Mill Local Nature Reserve’s manager, Paul, who was just a whipper-snapper himself back in the 1980’s. Paul’s still with us today and still enjoying working at Pendeford Mill, where we held one of our annual open days on the last Sunday in July. We don’t know who the other people are in the shot but if you know who they are, just get in touch with Wilf. Who’s with Pendeford Mill’s Paul in this one? Even better – send us a photograph as they are now … We’re searching our archives at the moment, so there may be more of these ‘Where are they now?’ features coming soon. This entry was posted in community, photography, Social Media, where are they now, Wildlife, wolverhampton and tagged bantock park, children, east park, green spaces, leisure services department, local nature reserve, nature reserve, parks, pendeford mill, pitch and putt, play areas, swings, west park, whipper snapper, wilf, wolverhampton, wolverhampton city council, wolvesparkies. Bookmark the permalink.